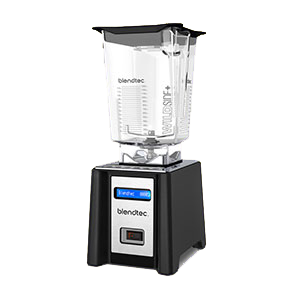 The Blendtec blender is a high performance blending machine comparable to the Vitamix blender as far as horsepower and durability. If you're someone who uses a blender on a frequent basis, you really should consider either one of these two comparable possibilities. We have owned and operated both the Blendtec and Vitamix. First we had a Vitamix which we thoroughly enjoyed as our main blending device for over 10 years, then we purchased a Blendtec. Initially, we did this to provide a more compact travel option but found ourselves leaving it on the kitchen counter and using it for daily drinks. We decided to sell our old TurboBlend Vitamix at that point and the Blendtec took over as our new main appliance. While there are other more affordable alternatives to these to high quality blenders, we have found that many conventional models are not constructed for heavy duty wear and tear. What this means is that eventually, after several months or a year, parts and blades end up needing to be replaced or motors malfunction from overuse. As far as blenders go, you basically get what you pay for! Although we now use a NutriBullet for travel purposes, it really isn't practical in our opinion to use these units for repeated day-to-day long-term blending. These mid-range blenders do however work well for occasional use when making a morning smoothie or for lower intensity blending purposes. However, for those of you who use your blender for all-day multipurpose blending, preparing many meals a day, it is best to own a quality device that can withstand high intensity use. High end blenders are essential kitchen tools, offering superior motors and blades for blending and puréeing any number of hot or cold food items. They will completely pulverize and "predigest" all fibrous foods down to a smooth consistency and have no problem powdering even the toughest of tonic roots, herbs or mushrooms. We often use our Blendtec for grinding whole fo-ti roots, cinnamon sticks, peppercorns, stevia leaf and large dense reishi mushrooms. Daily shakes, smoothies and raw energy soups, of course, blend up in seconds to provide a predigested easy to assimilate meal. These types of blenders are also ideal for making an assortment of pâtés, dressings, sauces, desserts and always come in handy when preparing certain foods for the dehydrator. 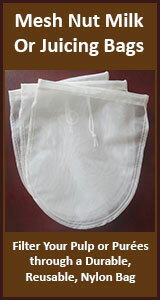 Likewise, they are also convenient for milling your own flours or making a wide range of seed and nut butters. You can even use these units as alternatives to juicers as they completely purée all fruits and vegetables, which can then be further strained using a nut milk bag. 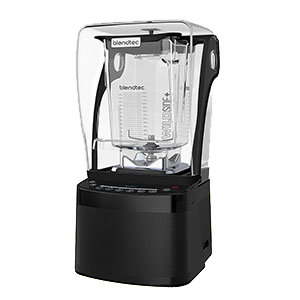 Blendtec blenders come in several different household models according to budget and blending needs. To date, as of 2016, these are the current selections available from the manufacturer, although older models may still be available from some retailers. Each blender comes with the motor base, BPA-free plastic jar with vented Gripper™ lid and a Blending 101 quick-start guide with recipes. Warranty covers the motor base and jar only. Blendtec's are made in the USA with the main headquarters based in Orem, Utah. 1) Classic 575 ($419.95) - Features a touchpad interface, 5 incremental speeds + pulse, a molded plastic finish, pre-programmed cycles, illuminated LCD timer and an 8-year warranty. It comes in the following colors: black, poppy, caribbean, orchid, polar white and slate grey. 2) Designer 625 ($499.95) - Features an illuminated capacitive touch interface, 4 pre-programmed cycles, 6-speed capacitive touch slider + pulse, a molded finish and an 8-year warranty. It comes in the following colors: black, red, chartreuse, sea foam, orchid, slate gray and polar white. 3) Designer 675 ($579.95) - Features an illuminated touch interface, 5 pre-programmed cycles, 8-speed capacitive touch slider + pulse (plus "add 10" seconds option), a premium painted finish and an 8-year warranty. It comes in the following colors: charcoal, champagne and dark roast. 4) Professional 750 ($599.95) - Features an illuminated one-touch, push-button interface, 6 pre-programmed cycles, 10 speeds + pulse, molded stand, cast metal base and an 8-year warranty. It comes in the following colors: black. 5) Designer 725 ($679.95) - Features an illuminated capacitive touch interface, 6 pre-programmed cycles, 100-speed capacitive touch slider + pulse (plus "add 10" seconds option), a metal die-cast finish and an 8-year warranty. It comes in the following colors: stainless steel and gunmetal. 6) Professional 800 ($1099.95) - Features an illuminated capacitive touch interface, 6 pre-programmed cycles, 11-speed capacitive touch slider + pulse, a sealed sound enclosure for quiet blending, WildSide+ jar, a molded plastic finish and an 10-year warranty. It comes in the following colors: black. One of the great things about this company is that they also offer "renewed and refurbished" blenders that have been thoroughly inspected, repaired, and restored. They are not units that were returned due to malfunctioning, but are simply blenders that did not pass factory inspection and need to be repaired in some way. A bonus to purchasing a certified refurbished blender is that they are also backed by a 7-year warranty. These are essentially like new blenders and, for those on a blender-spending budget; they are a great deal with warranty included. Usually refurbished units are about $100 off the original asking price. 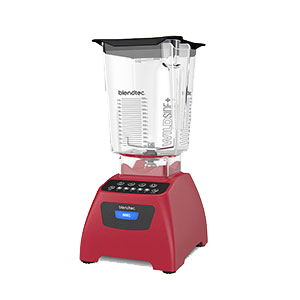 Refurbished models are available here on the Blendtec website. Prices and model availability may be subject to change. Blendtec currently (2016) has seven jar options that will fit on any Blendtec blender base (with exception to the Blendtec mixer units). Jars, when purchased separately, come with their own 3-year warranty. They are made from impact-resistant, BPA-free copolyester. Wildside Jar - Features an extra-wide base and a narrow fifth "wild" side that helps create a faster, smoother blend. It has a 90oz capacity. Fourside Jar - This is the original standard four-sided jar that comes with all model types. It has a 75oz. capacity. Twister Jar - Designed to blend your thickest recipes, such as nut butters, hummus, baby food, dips, thick shakes and dressings. Includes an extra-strong, patented single-prong tuned wingtip blade. It has a 37oz capacity. Mini Wildside Jar - A smaller version of the original Wildside jar for single-serve blends. It has a 46oz capacity. Mini Twister Jar - A smaller version of the original Twister jar with extra-strong, patented single-prong tuned wingtip blade. It has as a 28oz capacity. Wildside Rebel Jar - A Blendtec jar that is uniquely designed to fit most Vitamix blender bases, comes with hardened metal drive socket. This jar is NOT compatible with Blendtec blenders. It has a 90oz capacity. Wildside XR Jar - Like the Wildside Rebel, this jar is designed to fit most Vitamix blender bases, but does not come with a hardened metal drive socket. This jar is NOT compatible with Blendtec blenders. It has a 90oz capacity. Blendtec also offers a mill and mixer model as well as a number of accessories. There are countless websites and videos demonstrating the pros and cons of Blendtec blenders versus Vitamix blenders. However, one thing that needs to be taken into account when comparing these two top high end machines is that you are reading up-to-date information on the subject. This is due to the fact that, as competitors, these two companies tend to upgrade their models with new features and design improvements. This, over the years, has occurred in response to the numerous reviews on both types, as a way to be compliant with consumer needs and demands. Therefore "reviewed design disadvantages" outlined on a number of websites are often out-of-date with current product lines changes. Blendtec's compact size vs. Vitamix's taller version that was harder to fit under counter-top shelving. Now, Vitamix has a new line called the "Next Generation" with "low-profile" compact containers that have the same carrying capacity as taller Classic style Vitamix blenders. 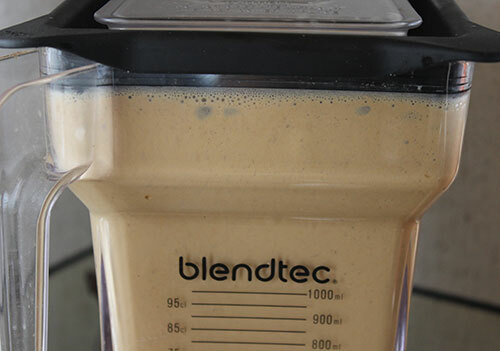 Vitamix was always praised for its ability to mix thick creams and sauces because of the tamper option. Now Blendtec has an updated variation called the Twister, which basically provides similar features in an automated fashion. Easier to Clean - We enjoy the wider square jar base with 2 heavy duty blades. This makes cleaning the blender much easier compared to the narrow rounded base and 4-blade Vitamix blenders. Programed Controls - All Blendtec's have computerized controls and touchpad interface panels. These are easier to clean than the knobs and dials on most Vitamix versions. They also allow you to set times and speed so you can walk away from the blender as it will turn off when the cycle is complete. Currently, Vitamix only has one option (the G-780) with a touchscreen control panel and automated blending option. 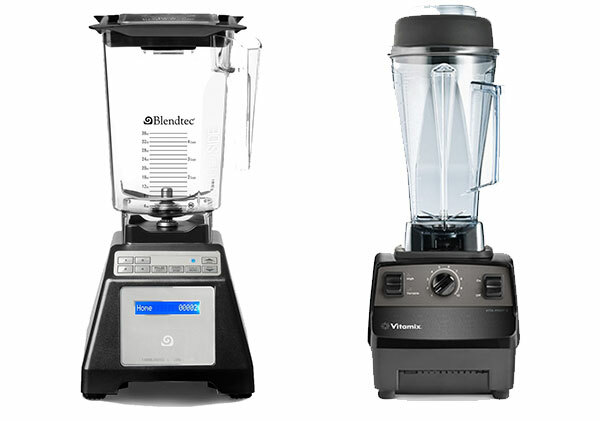 Warranty - The warranty on most Blendtec blenders is 8-years, whereas Vitamix only offers a 5 or a 7-year warranty. The certified reconditioned Vitamix alternatives are only covered by 5-year warranty, or you can pay for an additional 3-year coverage. 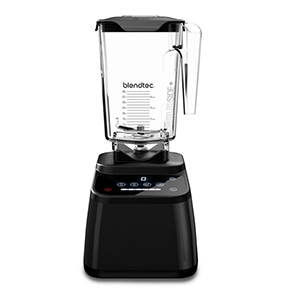 Blendtec offers a 7-year warranty on ALL certified reconditioned blenders. Vented Gripper Lid - The Blendtec lid is, in our opinion, a better overall design. 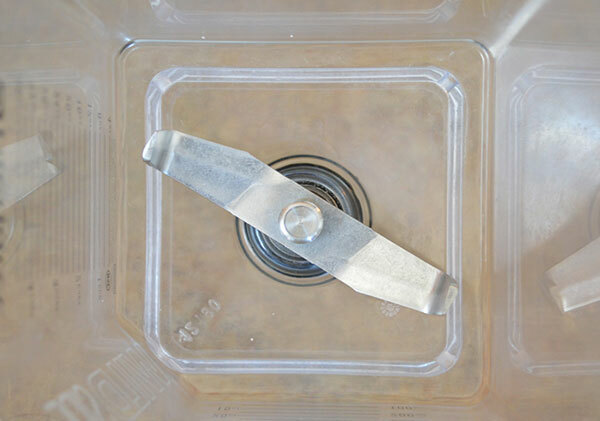 It is less bulky than the Vitamix lid, easier to attach and is also easier to clean. More Color Options - Many of the Blendtec's come in a variety of eclectic color selections. Most Vitamix blenders only come in red, grey, black or white with only a few models available in more eclectic colors. Loud Motors - Blendtec's are notoriously a bit louder than the Vitamix. 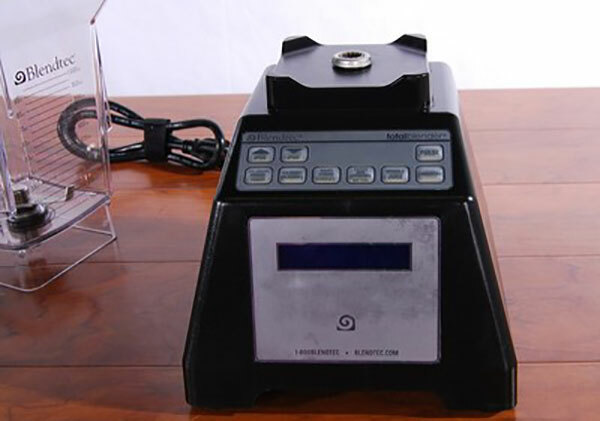 This is often a deal breaker for many households who prefer quieter blending machines. Handle Design - The handles on the Blendtec are hollow for some reason. This tends to attract bits of food or liquids that are hard to clean out. Plastic Pitcher - Although the Blendtec jar is BPA-free copolyester food-grade plastic, we would much prefer a glass option. Glass does not scratch or lose its sheen over time as plastic does, nor does it potentially leach plastic particles into your foods. Neither of the Blendtec or Vitamix jars come in glass, hopefully this will be an upgrade in future models.